Last night I discovered an awesome new service called Next Issue which is pretty much a Netflix type subscription service for magazines. For either $9.99 a month or $14.99 a month you get access to over 100 magazines each month (including back issues). No separate subscription fees, just one fee and you get it all. It’s available in the Windows 8 store (desktop or tablet), iPad and Android tablets. The $9.99 plan includes most of the magazines, however the $14.99 tier includes weekly magazines like The New Yorker and TIME. I’ve only tried it on my MacBook so far (running Windows 8 via BootCamp) but I can only imagine the tablet experience would be the better experience. My only complaint so far is that you can’t really zoom in the desktop version so it’s difficult to read a lot of the smaller text in some magazines without placing your face awkwardly close to the screen. I haven’t tried outputting to my TV via HDMI, but I assume that experience would be better. However, I prefer to read magazines in bed, so viewing on a laptop is still a bit inconvenient. I’d be willing to bet the tablet version would offer a much better reading experience. Check out my video below for a look at the app in action. If you haven’t found a good reason to install the Starbucks app on your phone, I’m about to give you a good reason to do so. Not only can you use it as a quick and easy way to pay for your daily dose of caffeine (and earn rewards doing so), you can also download a free song every week via iTunes. It’s simple, you get a message titled ‘Pick of the Week’ every week and you simply click a button which will take you to iTunes and start your free download. Recent weeks have featured songs by Dave Matthews Band, Black Prairie and Van Morrison. This week’s pick is by far my favorite, and I have fallen in love with this band which I discovered via Starbucks. The band is The Lumineers out of Colorado, whose album (The Lumineers) debuted this past April (check it out on iTunes). The song is “Stubborn Love” which you can see in the video below. It’s an amazing song, and a great video! Nothing odd about this, right? 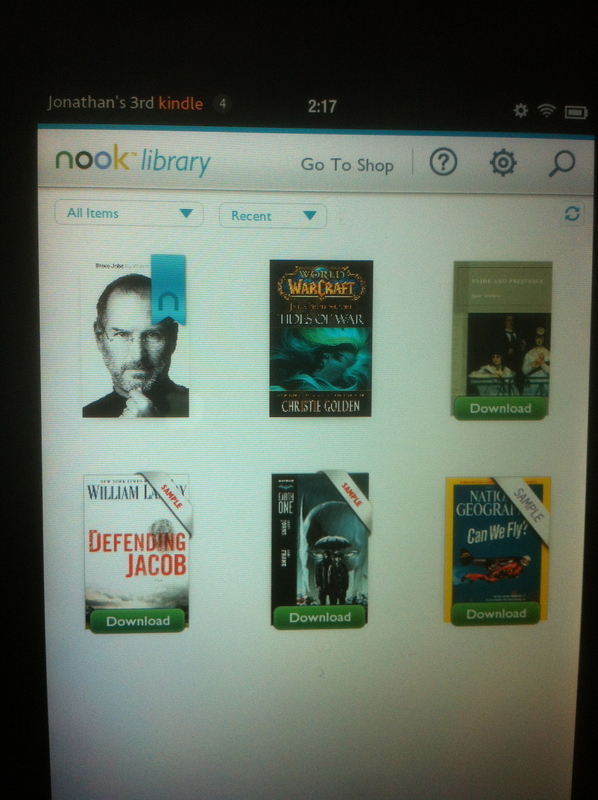 (Nook app running on Kindle Fire [side loaded]). No real reason to use the Nook app on the Fire, just for fun really. I honestly don’t like the way pages turn in it anyway. So a lot of people at work have been playing Family Feud & Friends on their phone and it seemed like a fun time. It’s certainly fun to battle it out with strangers and come up with “good answer”(s). However after downloading the free app myself I’ve run into nothing but problems. First off, the game requires coins to play, and each game of Family Feud costs 2 coins. You start out with 10 coins and get 2 coins for leveling up (you level up by earning money). However after no more than 20 minutes I was zero balance on my coins. So I have the option of paying anywhere from $1.99-$99.99 for additional coins. $1.99 will net you a total of FIVE games of Family Feud, or 15 minutes or so of fun. Most definitely not worth it. And anyone who spends $99.99 on an iPhone game (or even thinks about it for that matter) needs some help. Every day you get to spin a slot machine to earn more coins, but most often you’ll only get 2 or 3 coins. So you can play one game a day if you don’t shell out cash. What’s worse is the fact that the app itself never works. 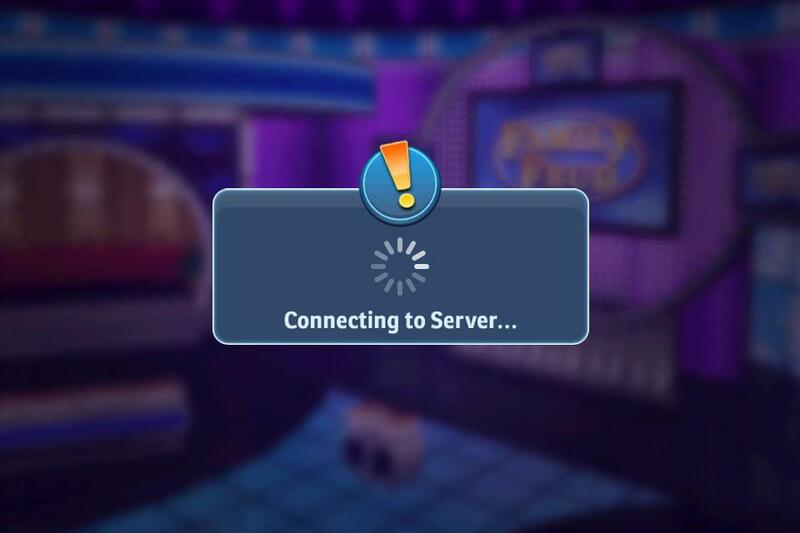 Most of the time I open the app I get a never ending connecting to server and an error saying the app failed to retrieve information from the server, try again later. Great so I can’t even get my daily spin to earn free coins so I can actually play the game. This in app purchase model is not a winning model. I would rather pay $2-5 for the app then have to continuously dump $2-5 a day into it. Even if you bought the $99 coin package I doubt that would last a person a year. What a shame, the game is fun, but it apparently doesn’t want to be played. 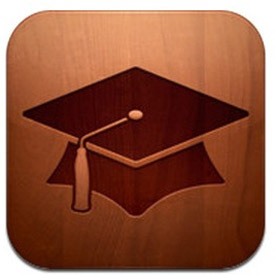 I’ve recently gotten addicted to “attending” college courses via iTunes U. With iTunes U you can watch or listen to lectures from various colleges around the world, and some courses are even supplemented with assignments and notes. My favorite so far is Harvard’s CS50 (video from YouTube below. This isn’t the same lecture as the one on iTunes U). The professor is a great speaker and is quite entertaining. iTunes U is useful in many ways. You can use it simply to sate your own curiosity, or maybe you want to preview a subject before taking an actual course on the subject. It also may be useful to watch a lecture or two on a subject you’re struggling in to see if a different approach will help you understand it better. The best part about iTunes U is that it’s free (both the app and lectures featured in the app). So get out there and learn something!